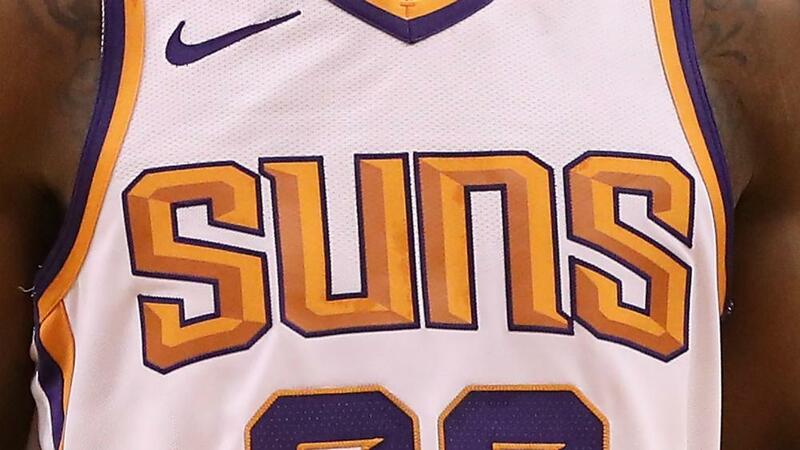 Equipped with the highest odds courtesy of a 21-61 record, the Phoenix Suns received the first pick in Tuesday's draft lottery, while Sacramento moved up the most to No. 2 and Memphis slid to No. 4. The Phoenix Suns will pick first in the 2018 NBA Draft after winning the lottery. Equipped with the highest odds courtesy of their 21-61 record this season, the Suns received the number one pick in Tuesday's draft lottery. The Sacramento Kings and Atlanta Hawks will select second and third respectively during the NBA Draft in Brooklyn on June 21. Big man Deandre Ayton, who played one season at Arizona, is widely considered the most coveted prospect in this year's loaded crop which includes Jaren Jackson Jr., Marvin Bagley III and overseas standout Luka Doncic. The Kings, who had an 18.3 per cent chance for a top-three pick, were the biggest surprise movers from the lottery while the Memphis Grizzlies – the second-best chance to get the first pick – received the fourth selection. In the midst of an Eastern Conference final showdown with the Boston Celtics, the Cleveland Cavaliers won the eighth pick, while the Philadelphia 76ers claimed the 10th selection.